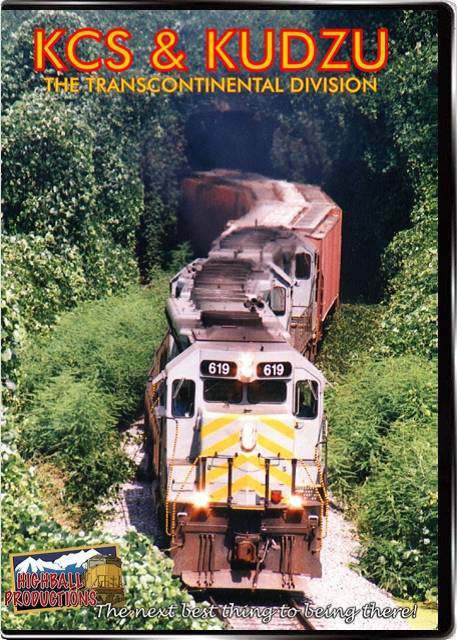 We followed Kansas City Southern's E-W Transcontinental Division from Meridian MS to Shreveport, LA in August, 1996 Power is mostly 4 axle, the CN wide nose GP4OL's are out and about, looking spiffy in their new paint, there is some 6 axle power, we caught some SD40's, SD45's and a tunnel motor. KCS's units are mostly clean, we thought the gray, red and yellow paint scheme looked pretty good. We got some NS power, including a GE with at least a 6-foot flame at the stack, Delta Southern, some Mid-South geeps, the 3% grade through the enormous Kudzu patch at Vicksburg and a nice meet at Munroe. We thoroughly enjoyed KCS, and so will you.